This major project has many standout features. It is one of the biggest infrastructure projects Turkey has ever seen, with an investment worth €10.3 billion. Once complete it will be the biggest air travel hub in Europe and one of the largest airports in the world, with a capacity of 90 million passengers per year at its opening in the first half of 2018, which will expand to 200 million. It will serve more than 350 international destinations and host over 150 airlines, setting standards in its architecture, its eco-friendliness and its airport technology. Istanbul is a highly attractive destination for tourists and investors; approximately 70% travel by aeroplane. But this growth requires additional infrastructure. Turkey is growing in the aviation sector every day and the sky above Istanbul is already crowded. Additionally, the current airports are unfit to serve the latest generation wide-body aircraft and so, clearly, there is a need for improvement. 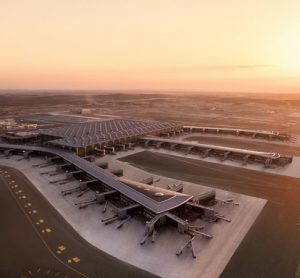 Istanbul New Airport is the highly compelling answer to these demands, especially with its advantage of Turkey’s unbeatable geographic position as a natural bridge between East and West, North and South. More than 55 capital cities are within the narrowbody flight range of Istanbul. Within three hours’ range there are 41 countries; within a four-hour range there are 53 countries – and there are 66 countries reachable in Europe, the Middle East, Central Asia, and North and East Africa within a five-hour range. The driving force behind the airport is a consortium of five Turkish partners. 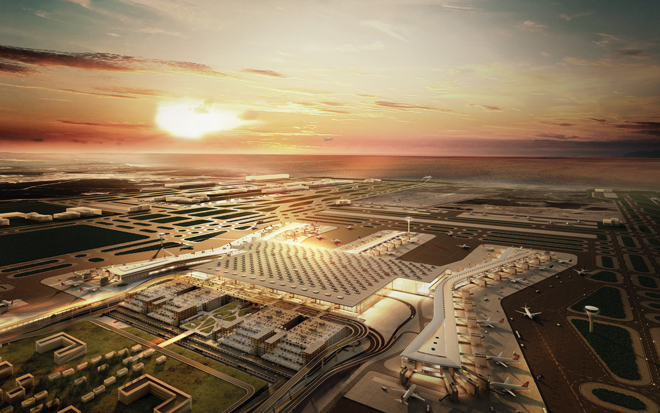 On 3 May 2013, the Turkish General Directorate of State Airports Authority awarded the contract for the construction and operation of Istanbul New Airport to Cengiz, Mapa, Limak, Kolin and Kalyon. A couple of months later, on 7 October, they founded a new company under the name İGA (İGA Havalimanı İşletmesi A.Ş). Each of the investors, who have experience in different airport constructions such as Cairo Terminal 2, Istanbul Sabiha Gökcen and Pristina (Kosovo), has an equal share of 20%. İGA has committed itself to building a modern, disability-friendly, ‘green’ airport using cutting-edge technology and employing an experienced and qualified workforce. The project is so far the biggest public-private partnership ever in Turkey, with a 25-year concession period. İGA has promised to pay the state €22.1 billion, plus taxes, over 25 years starting in 2017. Private and state banks are financing the first stage with a total of €4.5 billion. Construction began in May 2015 on an area that covers 76.5 million square meters – more than three times the size of Frankfurt Airport. The machinery fleet is the largest in Turkey, with 2,563 machines carrying out approximately 1.3 million cubic metres of earthworks every day. In the first phase a main terminal with a total passenger capacity of 90 million, three independent runways and related taxiway systems, air navigation services, communication and meteorological systems will be completed. The airport will be connected to the Anatolian side of the city with the Third Bosphorus Bridge and the Northern Marmara Motorway. It will be integrated into the entire public transportation system via metro and rapid-transit connections. Following the completion of all stages, the total capacity will be 200 million passengers per year. 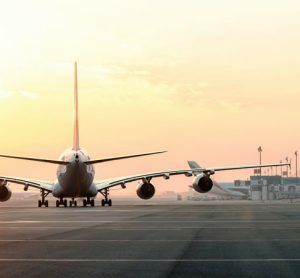 Aircraft will be able to use six runways and in front of the airport the news business centre of Istanbul Airport City will be located, with hotels, office buildings and a medical centre. UK-based Grimshaw Architects and the Nordic Office of Architecture are responsible for the conceptual design of the airport, while the design development is led by Scott Brownrigg with the support of two local offices for detail design, Fonksiyon and Kiklop/TAM. The 1.3 million square metre terminal will be modern and highly functional, with a unique sense of place, reflecting the culture and values of Turkey. Vaulted roofs cover both the processor and the piers, and connect to a series of modular column grids that support and regulate the stacked spaces within. Installation of the first part of the piers’ space frame roof is now underway. In essence, the building is balanced and ‘classical’ relying on the use of correct proportions to instil a sense of calm and tranquillity. Unifree DutyFree will build the largest duty-free shopping area in both Turkey and the world across 53,000 square metres of space, offering a remarkable shopping experience. The 20,000 square metre express cargo area will be established by DHL. 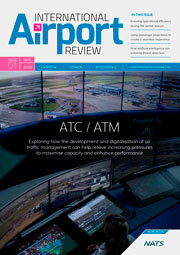 It is anticipated that the new airport will enjoy a 24-hour operating status. Another iconic building will be the air traffic control tower. Designed by AECOM and Pininfarina, 96 metres high and shaped in the form of a tulip, it is destined to become a landmark for Istanbul. The construction will begin in May 2016 and is planned to be completed by October 2017. Cutting-edge technology will serve passengers and airlines. iBeacons technology will provide indoor directions, walking times to gates, lounge access and alerts about boarding. A bag-drop system will enable passengers to check in their luggage quickly and easily. Having checked in online or at the airport kiosk, passengers weigh their bags and use their boarding pass at the self-bag tag kiosk located in the new airport terminal to generate a label for their bag. A total of around 3,000 monitors, located in different zones, will inform passengers. To give an idea of the data volume, the storage capacity will be nine petabytes serviced by 4,500km of copper cabling and 1,700km of fibre cabling, which will form a powerful infrastructure. 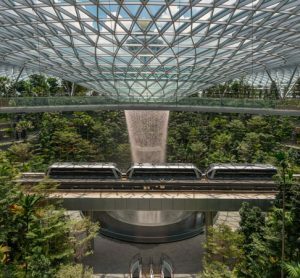 The airport will not only be setting standards in terms of design and technology; it will also be a pioneer in sustainability. Ecological concerns rank highly on İGA’s agenda. 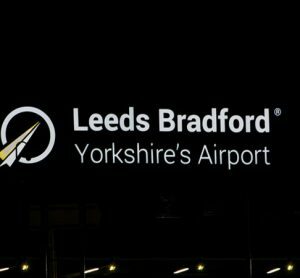 In order to minimise the environmental impact and develop an environmentally friendly airport, the board’s first decision in May 2013 – just after the tender award – was ‘to carry out an environmental and social impact assessment study to the highest international standards’. Thus İGA has, over the last two years, been conducting an environmental and social impact analysis prepared by UK-based Environ. İGA prepared a biodiversity action plan that also included the commitment of a one-to-five ratio for every cut tree. Flora and fauna protection projects have been underway since spring 2014 without waiting for the finalisation of this study. The report confirmed that the water deposits on the site have no connection to Istanbul’s underground water supplies. A team of six wildlife biologists are currently working full-time to collect data regarding birds flying over and around the project site, so as to structure a reliable state-of-the-art wildlife management programme to international aviation standards for flight safety and also to protect wildlife. These studies are being supported by a mobile avian radar system. Stakeholders are being asked to address relevant mitigation measures and implement these in a timely manner. During these assessments, the local population has also been involved. This is an ongoing process – i.e. stakeholder engagement – and forms the heart of İGA’s social-management programme. İGA maintains open communication and cooperation. A grievance mechanism has been established in order to receive feedback from the local community and to manage comments, complaints and suggestions from the public and respond on time. It is not only construction that is intended to be eco-friendly but operations too. Istanbul New Airport will be operated as a ‘green’ airport. A green airport certification scheme by the Turkish Civil Aviation Authority will follow, and all tenants will also obtain Green Enterprise Certificates under the same scheme. The main terminal building is designed according to USGBC’s (U.S. Green Building Council) LEED Certification scheme, a rating system awarded for the design, construction, operation and maintenance of green buildings and projects. For future noise and air quality management during operation, İGA has modelled potential impacts and proactively introduced these models’ findings with the Istanbul Greater City Municipality for future development plans. Nihat Özdemir is Board Member of İGA Havalimanı İşletmesi A.Ş. and Chairman of the Board of Directors at Limak Holding. He has a Bachelor of Science in Mechanical Engineering from the Ankara State University Faculty of Engineering and has previously held numerous leadership positions including President of the Turkish Contractors Association, President of the Union of International Contractors, Board Member of the Turkish Asphalt Contractors Association and President of the Electricity Distributors Association.